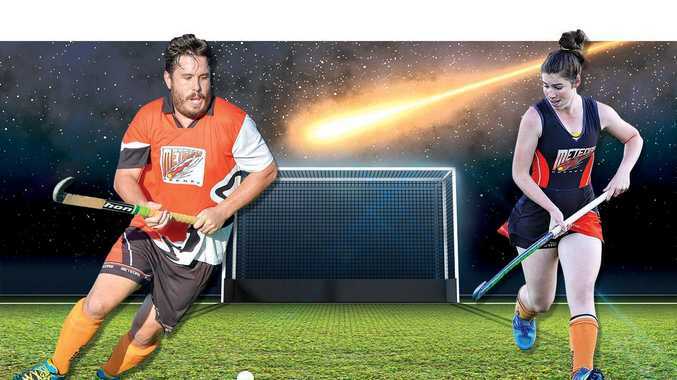 HOCKEY: Meteors A1 men and women teams will play in this Saturday's Central Queensland Hockey League semi- finals. Winners will go through to next weekend's hometown grand final. Meteors women's team came back from the bottom of the table to share second place on points (with Wanderers) and showed the depth and character of a gifted squad. They floundered for talented players in the first round, drawing only one game. Then they dragged themselves up off the canvas to not lose a game in the final two rounds. Coach Wayne Chapman said he was looking forward to the challenge of the squad making the CQHL grand final. "We finished on equal points (34) in second place with Wanderers but got put to third position because of goals for, goals against," he said. "The start wasn't the best, only drawing one game for the first round and sitting on the bottom of the competition table. "The players really wanted themselves to improve and took responsibility to lift and because they didn't like being last." Chapman said former Sydney A grade players Rachel Wilkinson and Lucette McPherson were two of many stand-outs for the squad. "I'm very proud of the players and the effort they have put in and especially the manger, Sandy Hayes, who has put in so much work and been awesome throughout the season," he said. The last time the two teams met, Meteors got the upper hand to score two goals in the second half to Wanderers' one. Meteors men's team will have to dig deep to go one extra step to win the semi-final and play its first-ever CQHL final. The men's team was consistent throughout the season with the occasional loss to take second place to Southern Suburbs in the final match of the fixture round. Players will line up against the same team this weekend in the semi-final match. Coach Shannon Bobart said he wanted the players to be a part of Meteors' history and steer the team to the home ground grand final match. "Our goal is to make the CQHL grand final and we will be happy with that," he said. "We are in with a good chance to make it and it would be great to play in a home grand final here in Gladstone." Meteors had a semi-final preview last weekend playing Southern Suburbs and came away with a 1-all draw. Meteors will need in-form striker Mitch Ryan and Jordy Wilson to play hard this weekend against Rockhampton team Southern Suburbs. There is a players and supporters' bus going up to make transportation easier leaving from Rigby Hockey Fields at 11.30am sharp and cost is $10 per person. Meteors vs Wanderers at 2.30pm and Meteors vs Southern Suburbs at 3.50pm at Kalka Shades.